Over the weekend my wife and I decided we were craving fish and decided to cook some up. Now, she and I have different preferences on most everything food-wise, but when it comes to fish we both love salmon. We drove Sunday morning to the grocery store (Whole Foods) to get the best fish we could find, and found some good options. 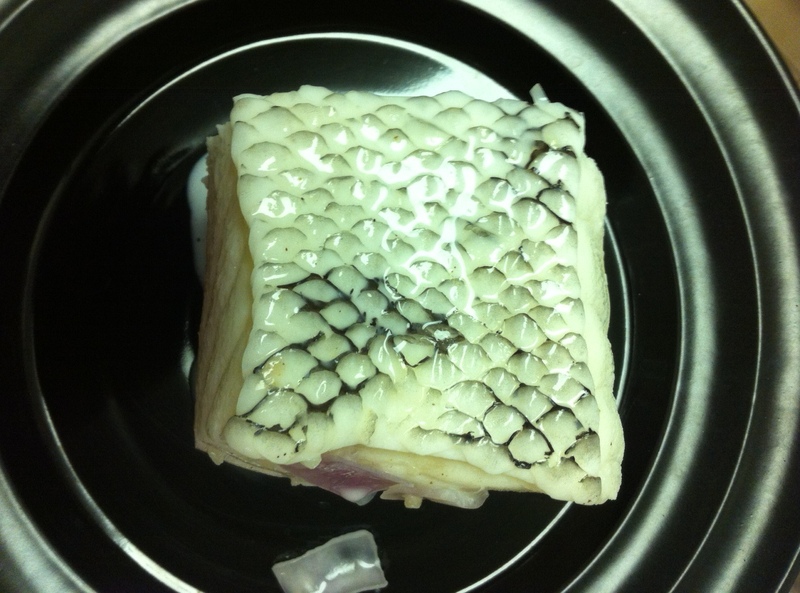 As you may have guessed we wanted to cook these ingredients sous vide, so we ended up getting salmon, sea bass, and cod. We set the Pearl Immersion Circulator to 132ºF, and planned to cook all the fish for about 18 minutes. We were happy to see that this could be done in such little time compared to proteins like short ribs, which can take up to 48 hours, or more. First up was the salmon. 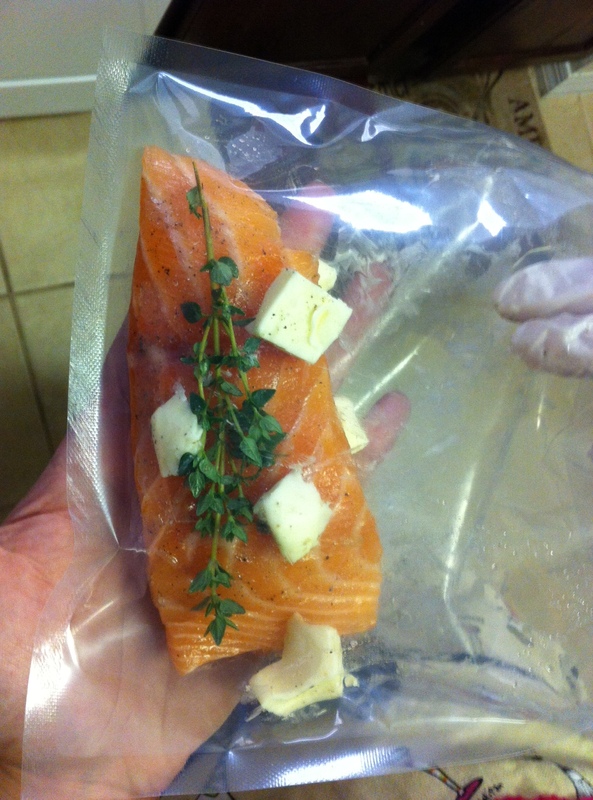 We vacuum packed the filet after slightly salting and peppering, and adding a sprig of thyme and some butter. We used the Henkelman chamber vacuum packer, Jumbo 30. The results were extraordinary. The filet was perfectly cooked, completely moist, full flavored and delicious. 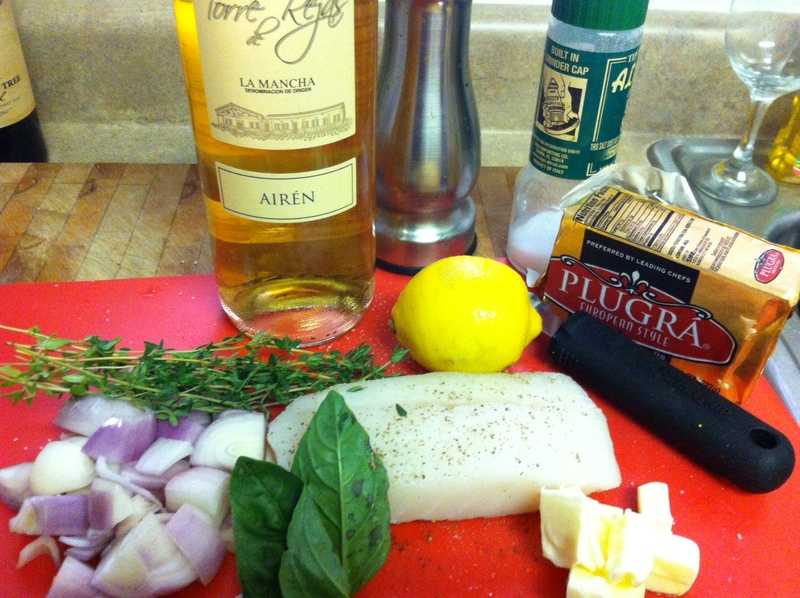 The next fish we decided to do was the cod. 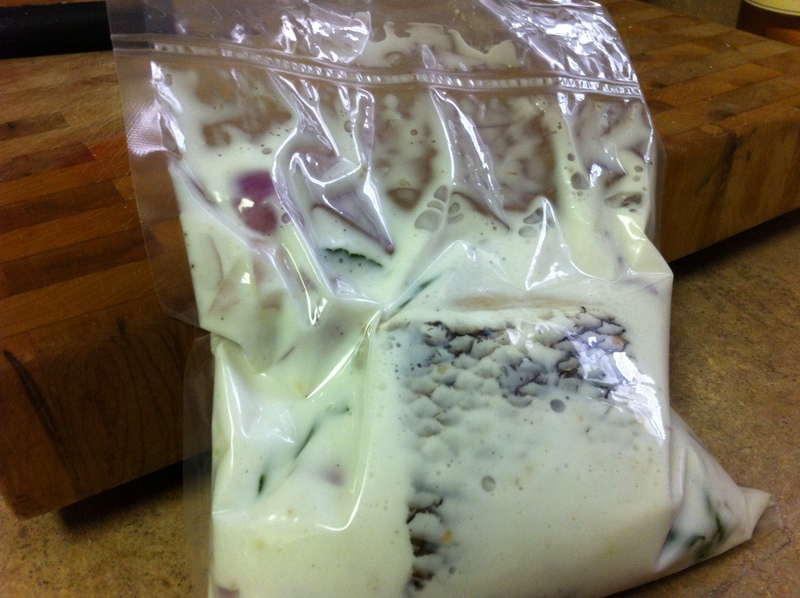 We vacuum packed this filet with some shallots, white wine, basil, lemon zest, butter and thyme. While the results with the cod were surprisingly good, my personal opinion is that it could have used a bit more time over the 18 minutes, or been cooked at a higher temperature. I think it can be a bit more soft and tender. 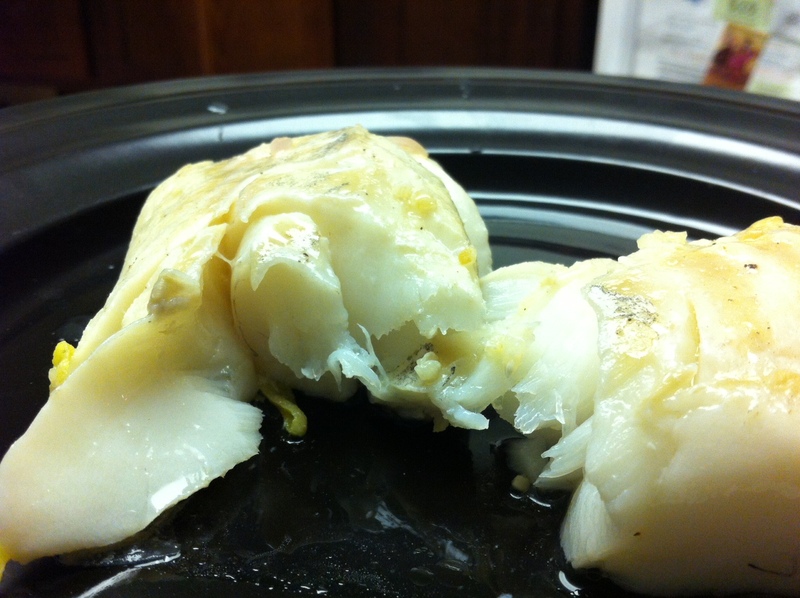 For the third and last filet we sous vide Chilean Sea Bass. I have to say, this was the best out of the three. 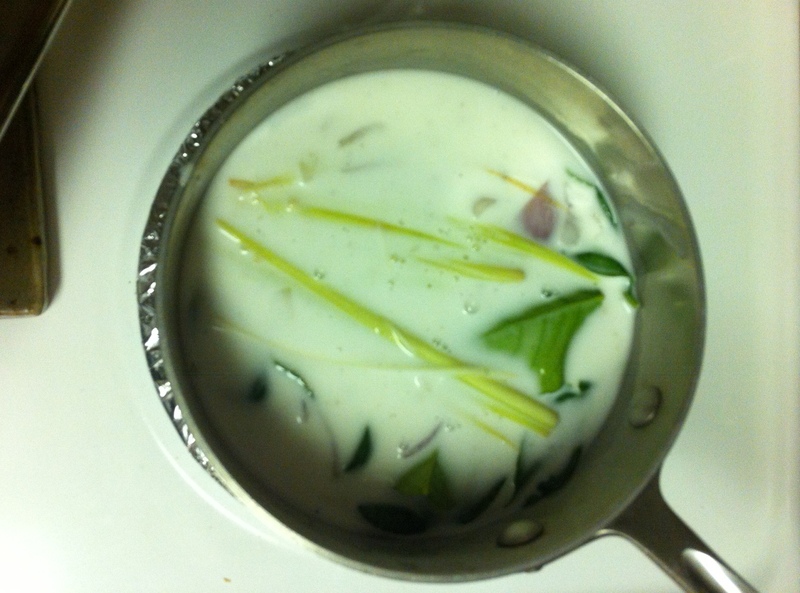 We vacuum packed the bass in coconut milk, kafir lime leaves, lemon grass, shallots and garlic. 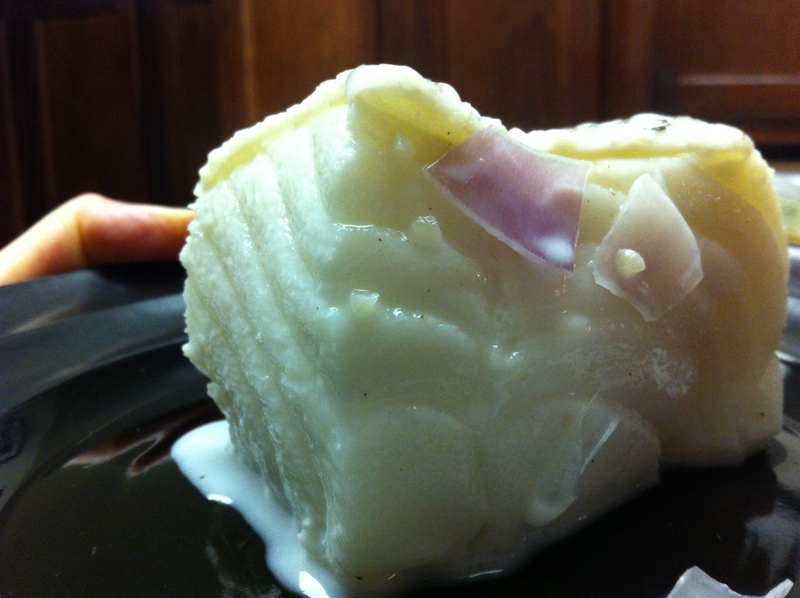 …and cooked it the same way. 132ºF for 18 minutes with the Pearl Circulator. This was a great experience, which my wife and I enjoyed thoroughly. 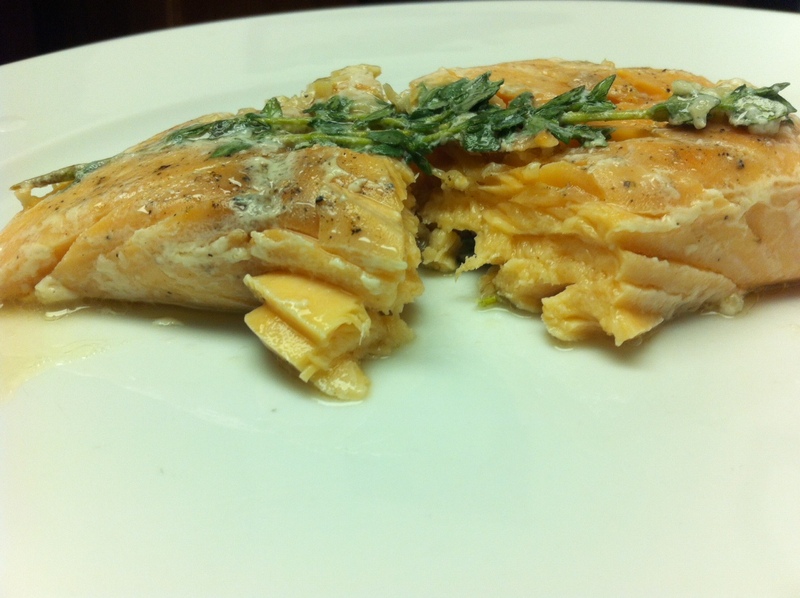 If you have never had the opportunity to eat sous vide cooked fish or meat, you must.